Cattier prepared 1,350 kg green clay. Green clay is a clay young, in which the evolutionary stage of the ore is less advanced than other clays, the most active. 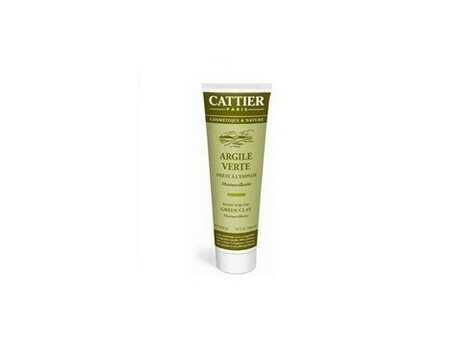 The green clay ready for use Cattie, montmorillonite mixed with a portion of kaolin, obtaining a mixture easy to apply and which provides optimal results. They absorb and regulate the excess fat and remove toxins and impurities, so that these clays are particularly suitable for combination and oily skin. Revitalize the skin and stimulate cell renewal, so are also suitable for tired and aged skin. Very rich in micronutrients, contributing to the skin and body minerals and trace elements. The green clay poultice mixed Cattie montmorillonite and illite varieties. INSTRUCTIONS MASKS: Apply a thick layer over face and neck avoiding the eye contour and lips. Leave for 10 minutes, without allowing the mask to dry completely on skin. Rinse with warm water and dry the skin with a cotton towel. To complete treatment Cattie apply moisturizer. POULTICE (NOT READY): With a metal spatula, spread a layer of clay 2-3 inches thick on a natural tissue. Apply the poultice directly on the skin and secure with a bandage soft. If the skin is irritated, put a thin gauze between the skin and clay. When the plaster is almost dry, remove and remove the remains of clay with warm water, then dry the skin with a cotton towel. ADVERTERTENCIAS: To remove the poultice, never use alcohol or cologne, only warm water. Sugiere una traducción mejor Gracias por proponer una traducción al Traductor de Google. Sugiere una traducción mejor:Cartier prepared 1,350 kg green clay. Green clay is a clay young, in which the evolutionary stage of the ore is less advanced than other clays, the most active. 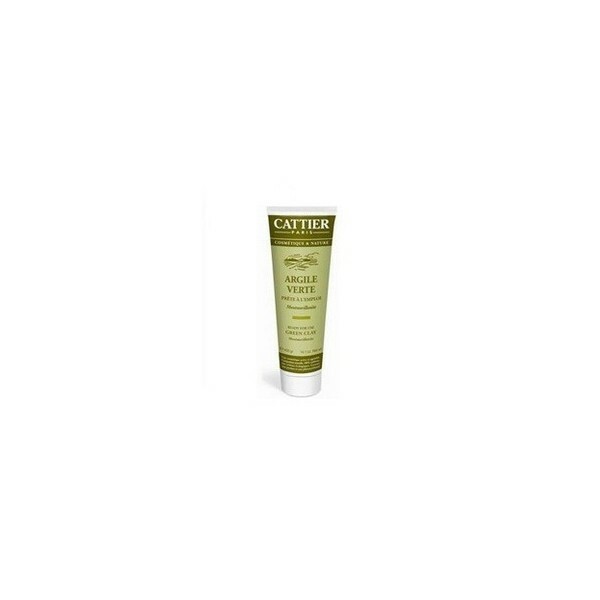 The green clay ready for use Cattie, montmorillonite mixed with a portion of kaolin, obtaining a mixture easy to apply and which provides optimal results. They absorb and regulate the excess fat and remove toxins and impurities, so that these clays are particularly suitable for combination and oily skin. Revitalize the skin and stimulate cell renewal, so are also suitable for tired and aged skin. Very rich in micronutrients, contributing to the skin and body minerals and trace elements. The green clay poultice mixed Cattie montmorillonite and illite varieties. MASKS: Apply a thick layer over face and neck avoiding the eye contour and lips. Leave for 10 minutes, without allowing the mask to dry completely on skin. Rinse with warm water and dry the skin with a cotton towel. To complete treatment Cattie apply moisturizer. POULTICE (NOT READY): With a metal spatula, spread a layer of clay 2-3 inches thick on a natural tissue. Apply the poultice directly on the skin and secure with a bandage soft. If the skin is irritated, put a thin gauze between the skin and clay. When the plaster is almost dry, remove and remove the remains of clay with warm water, then dry the skin with a cotton towel.